Gamers’ Boulevard is one of the organisers and sponsors of this year’s Cyprus Comic Con. Know as well as GB, the company has managed over its few years to become an important player in the gaming market and also one of the favorite spots for every gamer by offering competitive prices and excellent customer service. 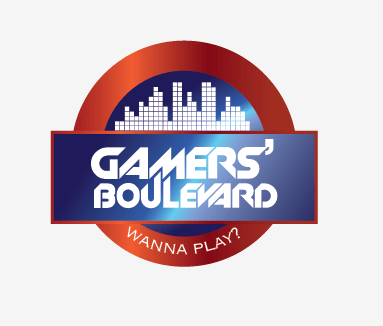 Gamers’ Boulevard is the first online store which specializes in gaming and whatever comes with it such as t-shirts, accessories, action figures, statues, collectibles and any relative merchandise. You can find anything there to express your fandom – from keychains and mugs to hoodies and hats and more. Apart from the online store, GB operates two store in Cyprus – one in Nicosia and one in Larnaca in which you can find products officially licensed products from Assassin’s Creed, Battlefield, Call Of Duty, Diablo, God Of War, Elder Scrolls, Minecraft and many more! The company is ran by passionate gamers who are in position to understand the needs of fellow gamers. That is why they treat all customers as friends, aiming to serve them with the bestway possible. At this year’s Comic Con, GB has the honor as well to sponsor the Smash Bros tournaments, as well as the Gaming Room. You can find their booth at number 63 on the floorplan. For more details, you can visit their website at www.gamersboulevard.com.